Type1 diabetes is an autoimmune disorder of the body. With type1 diabetes the body’s immune systems begins to attack the pancreas. The pancreas is the organ in the body that is responsible for insulin production. Patients diagnosed with type1 diabetes are dependent on insulin therapy via multiple daily injections or a device called an insulin pump to stay alive. It is very important to pay attention to signs and symptoms of this disease. As early detection can help save a life. You will begin to notice that your child or you will start to become more thirsty than normal. This is caused by an increase in sugar build up in the bloodstream. Without insulin being produced the body’s muscles and organs become empty with no energy. This will tell your body that you need to eat, and eat more often. Even though you will notice a large increase in appetite you will still see a drastic change in weight. Weight loss happens because without energy, the muscle tissues and fat storage begins to shrink. When your body’s cells are not receiving enough sugar you will become tired. When blood sugar levels are too high for too long fluid will be pulled from the lenses of the eye, causing blurred vision. It is very important to learn the signs and symptoms. If you can say yes to any of the symptoms above, it is very important that you contact your doctor immediately. 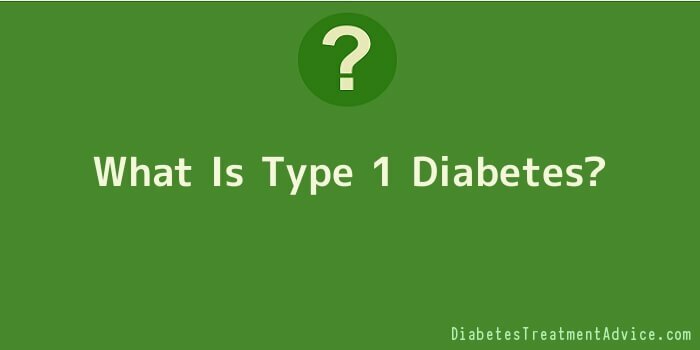 What Are The Causes Of Type1 Diabetes? Scientist and doctors cannot pinpoint one exact cause of type1 diabetes. What they do know is that the body’s immune system destroys insulin producing (islet) cells in the pancreas by mistake. Some say genetics play an important role in type1 diabetes. Certain viruses and illnesses can trigger the start of type1 diabetes. Even there is no known cause, what is for certain that once your islet cells are destroyed you will begin to produce little to no insulin. This is why insulin therapy is the treatment of type1 diabetes. Insulin therapy replaces the body with insulin that it can no longer produce on its own. What Are The Risk Factors Of Type 1 Diabetes? There are really not a lot of risk factors known for type1 diabetes. There are, however, a few possibilities that increase your likelihood of developing the disease. Family History: Anyone who has a parent or sibling with type1 diabetes is at more risk for developing it. Genetics: Certain genes indicate an increased risk of developing type1 diabetes. Viral exposure: Exposure to viruses such as Epstein-Barr, coxsackievirus mumps, or cytomegalovirus may start the autoimmune attack on the pancreas. Low vitamin D levels: Some research has shown that lower vitamin D levels have been linked to type1 diabetes. Dietary factors: Omega 3 fatty acids are known to offer some protection against type1 diabetes. It is important to recognize the signs and symptoms because knowing could save a life. Type1 diabetes is a very scary disease and should be managed diligently. With good management and care, someone with type1 diabetes can live a long healthy life.